A Link is placed in classroom. Please use the same password as your Google accounts and complete Registration. "Gamestar Mechanic was designed with the understanding that game design is an activity that allows learners to build technical, technological, artistic, cognitive, social, and linguistic skills suitable for our current and future world. 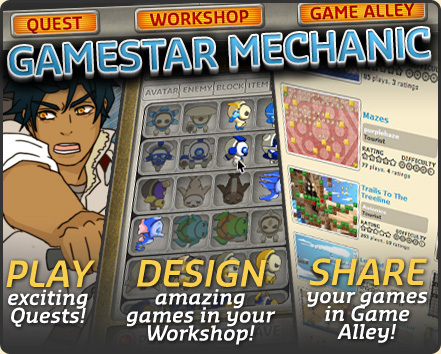 The built-in curriculum in Gamestar Mechanic lets learners exercise these skills by creating games. Knowing how to put together a successful game involves system-based thinking, problem solving, collaboration, art, storytelling, and digital media literacy. This Learning Guide offers a flexible curriculum based on prototyping and iteration, a key game design methodology. Students work through multiple versions of any idea or solution, integrating ongoing feedback into the learning process, and reflecting on the strengths and weaknesses of their design solutions. 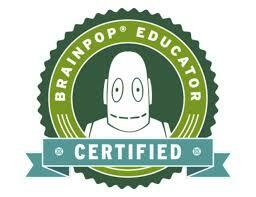 The Learning Guide complements and expands upon the curriculum developed in the game itself. Worksheet Requirements Click Here You will need to log into your Google Account to access. Click Here to Study for the Gamestar Mechanic Quiz!